We are a business law firm with approximately 85 professionals, based in Oslo. We cover the full spectrum of business law. We believe that legal advice primarily has value if it can be applied in a business context. Our partners share the firm’s profits equally – each case we take on is performed by the best qualified lawyer. We participate in international law firm networks on a non-exclusive basis. Attorneys Schjelderup and Fougner were appointed justices of the Supreme Court and Attorney Schjødt started his own firm in 1936, after 16 years with Attorney Bredal. After World War II, he was entrusted with the challenging, but important, role of public prosecutor in the Quisling case, which he executed in a professional and confident manner. 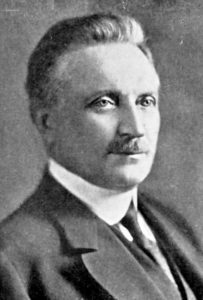 The Grette name was added to the firm in 1919, when Bredal, Christiansen and Fougner hired Einar Grette, after he had served as a deputy judge with the Eiker, Modum and Sigdal District Court. His high standing in legal circles resulted in him becoming chairman of the Norwegian Bar Association from 1951. Gunnar Grette became a partner of the firm in 1966, following the death of his father. Before then, he had worked in the Ministry of Justice and as a deputy judge. He was admitted to the Supreme Court in 1970, and held a large number of directorships of Norwegian businesses over his career. These names testify to the skill behind the hiring practices of Johan Bredal. Many of them became justices of the Supreme Court, and some made it to chief justice, whilst others served as ministers in the Government of Norway. Others again played key roles in the further development of the firm. A joint characteristic of both partners and other employees was a dedication to excellence in their work, as well as a moral standing that made it attractive to lend them an ear. The strong position and robust growth of the firm suggest that the values of its founder Johan Bredal remain intact. The firm has grown significantly in recent years. The reasons for this growth include active recruitment of new personnel in strategic focal areas. The firm has undergone a strategic and generational transition in the last few years. A flatter profile has been developed, sharper industry focus has been established, enhanced interdisciplinary cooperation has been put into practice, and a true partnership has been introduced. This modernisation is also reflected in our gender statistics, with a 50/50 ratio between women and men. Our objective is to be an outstanding law firm, serving both businesses and the public sector to the very highest standards. Our service offering is informed by a long-term, relational and knowledge-based approach. We deliver confidence-inspiring client experiences premised on communication, cooperation, responsiveness, adaptability and organisation. We consider the firm to be a function of the needs of our clients. For foreign clients, we have also created the guide “Doing Business in Norway“. This guide describes various areas of law, including labor law, company law, intellectual property law (IP), real estate law, public procurement law, dispute resolution and tax law and serves as an introduction to Norwegian commercial law.